In October 1972 Matsushita operating under Technics released the Technics SL-1200. Originally released as a high fidelity consumer record player. The player was quickly adopted by radio DJ’s and club DJ’s all over the world. This was thanks to the direct drive quartz controlled torque motor, and overall excellent build quality. On November 1st 2010 Panasonic announced production would cease. I have always been impressed with the built quality of Technics turntables, the SL-1210mk5G is no different here, it’s certainly built to last. 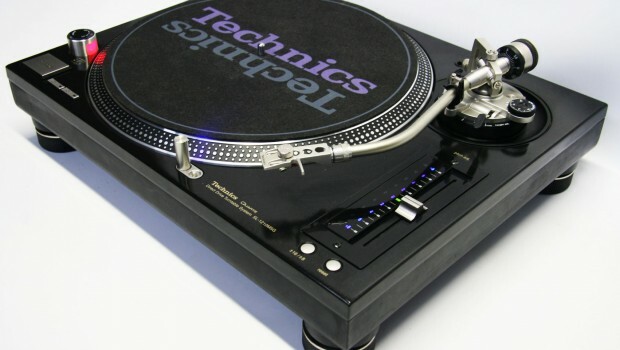 The 1200’s developed 41 years ago by Technics became the industry standard due to it’s unusual build quality, enabling it to be compared to tables that cost double and more. The 3 layer construction that the table uses serves a purpose, with excellent results when dealing with unwanted resonance. The engineers thought about club environment, and when sound levels can reach 100+dB it’s certainly good to know that it will perform, and perform excellent. From out of the box I had to assemble some of the player, this is to prevent damage in shipping which is sensible. Assembly is simple enough, however I had to take care when placing the platter onto the table due to it’s sensitive magnet. I attached the head shell to the tone arm, remembering to keep it horizontal and tighten the locking nut. Attached my cartridge and I’m almost there. The last thing I had to do before connecting the players to my mixer was to install the counterweight at the rear of the tone arm, firstly I removed the auxiliary weight due to my carts being fairly heavy. I’d recommend clicking the tone arm in so it’s locked, then set the anti-skate is set to zero on the counterweight, slide it onto the back of the tone arm. It did take me a little while to correctly set-up the weight being as it was my first experience with it. Lastly, I connected the phono cables and earth cables to my mixer. The SL-1210mk5G comes with the ability to switch between ±8% and ±16% range for pitch adjustment, and it’s now completely digital with target lights and a rather eye pleasing blue pitch number illumination. Personally, I have never used the ±16% pitch setting due to never mixing out of a ±6% range as key changes occur. 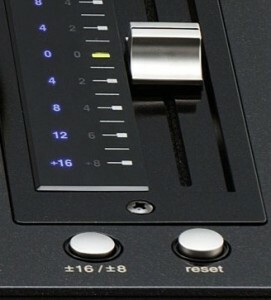 Operating the pitch control is smooth and precise, placement of the buttons pitch range and reset are good. The brake strength potentiometer can now be adjusted without the need of a screwdriver, unlike the mk5. This is done with the addition of a small plastic knob located beneath the platter. I did adjust the brake strength due to my curiosity getting the better of me, be careful not to adjust too severely as the platter has the tendency to spring back once stopped. Slight improvements to the tone arm are present with the inclusion of better mounting and oxygen-free copper wire, which aids in improved signal. Since Panasonic ceased production of Technics turntables parts and spares have been increasingly difficult to find. 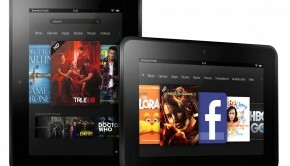 Thankfully due to the wonders of Amazon, lots of spares for your beloved 1210 are available. It’s not just spares for mk5’s, there are also mk2’s and mk’3. Enjoy! From the very first record to the last I felt connected and in control of my DJ experience, these tables allowed me to grow as a DJ and to really nail the skills allowing me to produce the mixes I knew I always could. 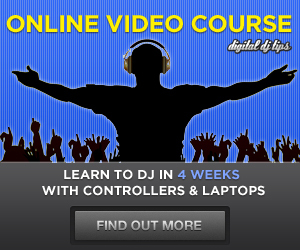 Learning to DJ isn’t easy but with these tables I’m fairly confident that anyone could learn. 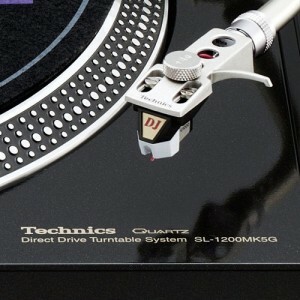 The Technics SL-1210mk5G were the best turntables that I owned. If you’re serious about Dj-ing these are in my opinion a must buy. Summary: The Technics 1210mk5's have been a pleasure to use, whilst not the kindest on the wallet, I'd still recommend to any DJ.